The great golden stupa Pha That Luang She was flanked by 4 temples, currently only 2 of them are preserved, Wat Thatluang Neua located in the northern part of the stupa of Pha That Luang, and Wat That Luang Tai, located south of the great stupa. Sisaket Temple situated in the heart of the city of Vientiane, is the only temple to sobrevio invasion of the Siamese army in 1828, which becomes the oldest temple in Vientiane that retains its original appearance to Sisaket. With almost 7000 Buddha statues in its interior and located front to the Haw Pha Kaeo Temple, Wat Sisaket is one of the most popular points of interest Vientiane . Temple Haw Pha Kaeo is an ancient temple of the city of Vientiane, built in 1565 by the King Saysetthathirath whose purpose was to house the Emerald Buddha, which is currently in the Grand Palace in Bangkok (Thailand). The Haw Pha Kaeo Temple, also called Ho Phra Keo and Haw Phra Kaew, is one of the most beautiful places in around Vientiane. Vientiane City has an airport, the Wattay International Airport (code VTE), situated 3 kilometres on the outskirts of the city. The Wattay airport has regular flights to major cities in Laos and also to neighboring countries such as Thailand, China, Cambodia and Viet Nam. That Dam is a stupa located in the center of Vientiane (Laos). It is popularly known to this monument in Vientiane as the Stupa black, due to the dark color that has acquired the stupa with the passage of time. The Buddha Park, or rather the Buddha Park is a fraught with Buddhist sculpture park located on the outskirts of the city of Vientiane (Laos). The Buddha Park, formally Xieng Khuan, boasts more than 200 statues. The currency of Cambodia is the Cambodian Riel, abbreviated as KHR. 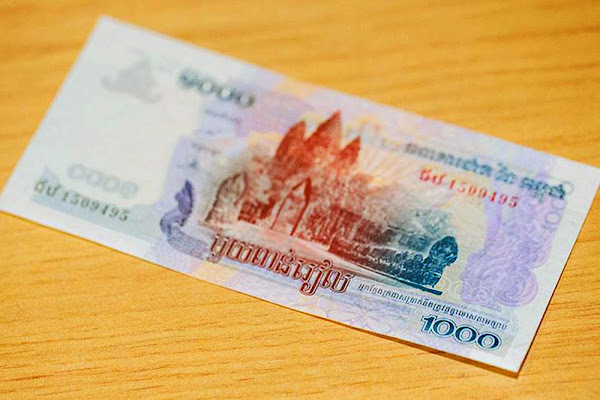 The Cambodian Riel is the official currency of the Kingdom of Cambodia since 1978, being its change approximately 1 EUR = 5,500 KHR and 1 USD = 4,000 USD. Patuxai in Vientiane (Laos) is one of the most important monuments of the city. Known as the Arc of the triumph of Vientiane or also called the Victory gate is the particular tribute to the Arc de Triomphe on the Champs-Élysées, which pays the city of Vientiane to Paris. In the center of Viet Nam, on the banks of the perfume River stands the city of Hue, one of the most important cities of Viet Nam, which in turn was the capital of the Empire in the time of the Indo-China. The city of Hue in Viet Nam has many tourist attractions, here you have a small sample of what to see in Hue Viet Nam.